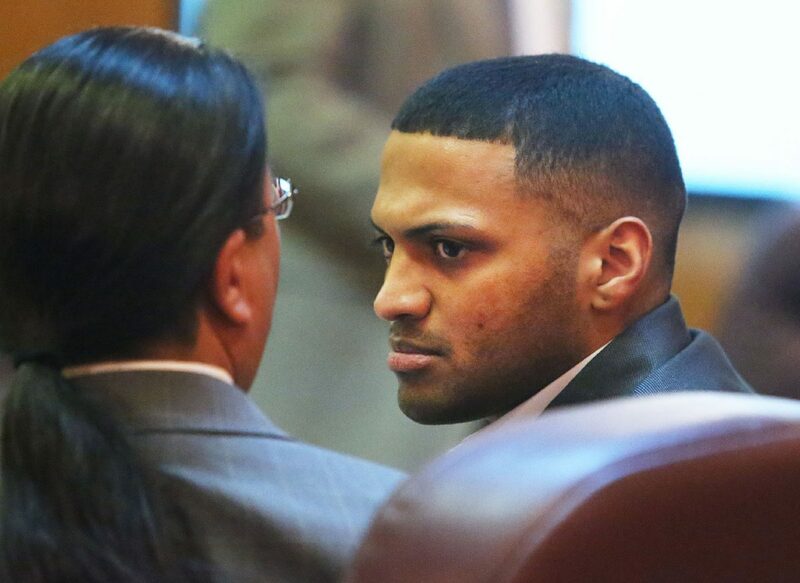 EDINBURG — Deciding the fate of a 27-year-old man accused in a shooting death will have to wait another day after jurors in the Edinburg murder trial were dismissed Wednesday evening. Victor Lee Alfaro is accused of shooting 21-year-old Reynaldo Reyes Jr. — the brother of a woman Alfaro was interested in — in May 2016 at an Edinburg apartment complex. He denies the charge. Two hours before their dismissal for the day, jurors asked to be reread parts of Reyes’ sister’s testimony. Nancy Lopez took the stand last week on the second day of trial to recount the night she said Alfaro shot Reyes for a reason unknown to her. Lopez told jurors Alfaro had loaded the gun in front of her before he walked into Reyes’ bedroom, allegedly shooting him in the buttocks and head. She testified that Alfaro was wearing gloves during this time and that he apologized to her before leaving the scene in her car. The gloves, however, were never recovered during the investigation. Lopez also testified Alfaro gave her the gun before he left, which police found on the dining room table. Lopez had given her sister money to purchase the gun for her — which she in turn gave to Alfaro — two months before the shooting. Defense attorney O. Rene Flores called Lopez’s account of the minutes before and after the shooting into question Wednesday during closing arguments, going so far as to call the inconsistencies in her testimony lies. These include her denying that she had been involved in an argument with either Reyes or Alfaro that night, despite a downstairs neighbor testifying she heard a man and a woman yelling prior to the shooting. Flores also questioned why Lopez was not in the courtroom with members of the Reyes family and Edinburg police investigators to watch closing arguments, telling jurors it was actually Lopez — not his client — who shot Reyes. While the defense argued that no fingerprints were found on the gun and that DNA was not found on Alfaro’s clothes, Assistant District Attorney Monica Barron Auger stressed during her closing argument that gunshot residue was recovered from Alfaro’s clothes. “Her cooperation speaks louder than words,” Barron Auger said of Lopez’s willingness to allow police to search the apartment and test her for DNA and gunshot residue. This was in addition to her willingness to give multiple statements to investigators, which remained consistent. Jurors, who deliberated for approximately four hours Wednesday, will resume their deliberations Thursday.